Ships tomorrow if you order in the next 21 hours 26 minutes. 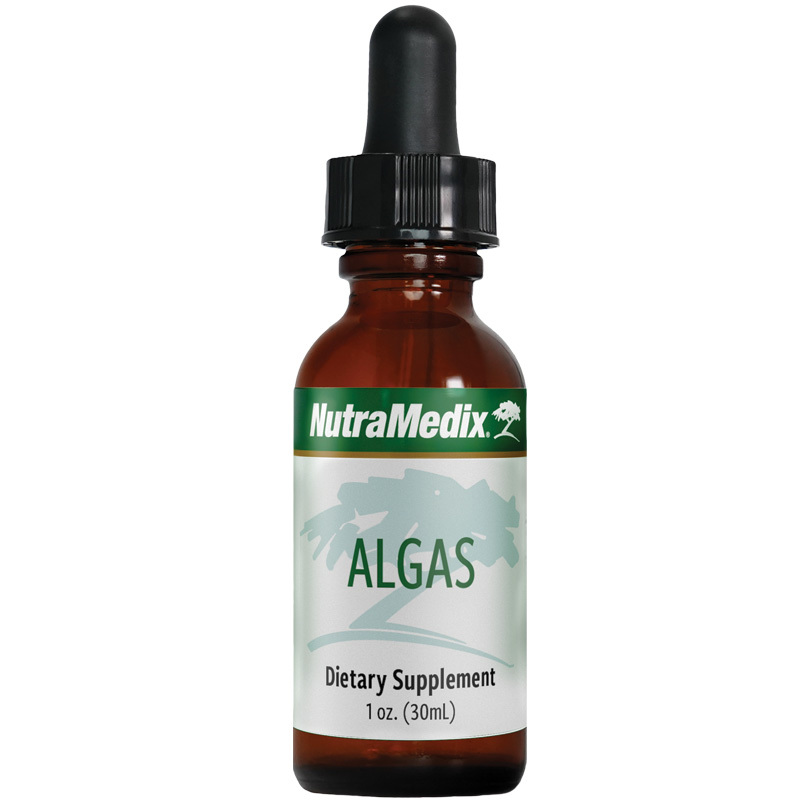 Algas from Nutramedix supports normal detoxification processes. We are all exposed to heavy metals in the air we breathe and the foods we eat, and these can cause negative health effects. Some common heavy metals include aluminum, cadmium, mercury, arsenic, nickel, and lead. Often, severe exposure to these heavy metals can cause negative health effects. Proprietary Whole Herb Extraction Process - Highly bioavailable liquid for improved absorption. Nutramedix's unique enhancement process optimizes the whole herb for a more powerful broad-spectrum extract. From Nature - Nutramedix products are sourced from nature's richest botanical resources, primarily Peru and the Amazon Rainforest. 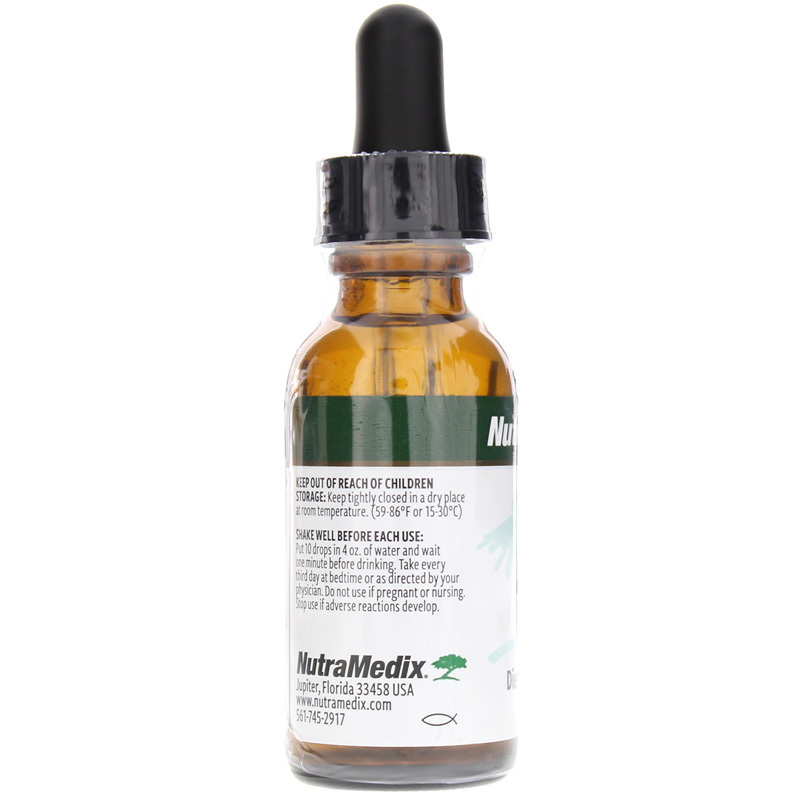 Over 20 Years of Nutraceutical Innovation - Founded in 1993, Nutramedix supplies highly bioavailable nutritional supplements to healthcare professionals and consumers. A majority of Nutramedix profits are donated to charitable organizations. Other Ingredients: mineral water, ethanol (20-24%). Adults: Shake well before each use. Put 10 drops in 4 ounces of water and wait one minute before drinking. Take every third day at bedtime or as recommended by your physician.